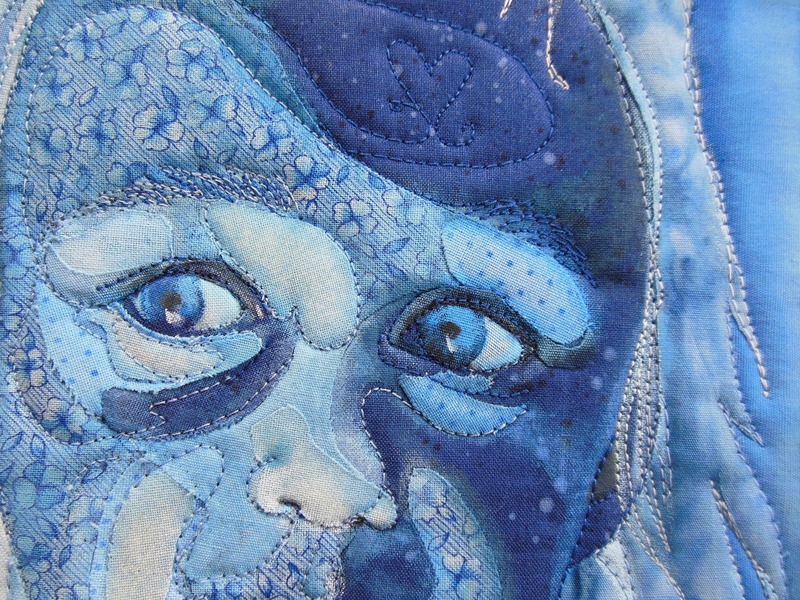 With such a positive response to my quilt “Natalie on a Blue Day”, I thought I’d say a little more about it. I learned the technique from Lenore Crawford, a fellow Michigan fabric artist. It’s a little time consuming but very enjoyable and I think the results are worth it. It’s really all about the fabric. 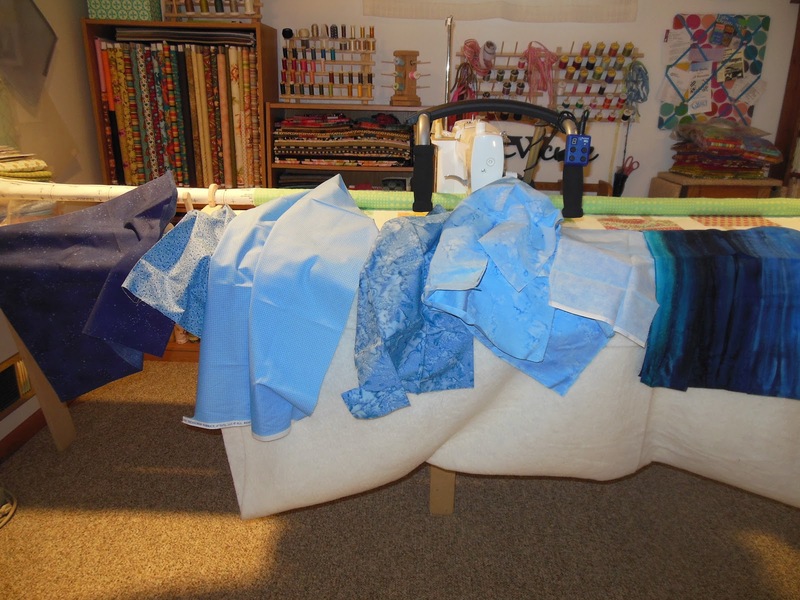 The key was picking fabrics that ranged in value from very light to very dark. Small patterns and tone on tone fabrics were good choices that added interest and helped transition from one area to another. For subject matter, I enlarged my photo and kept the image large scale even though the quilt is small (12″x12″). A focused, simple image is great for learning. To start I made an outline drawing on tracing paper, delineating areas of light, medium and dark values. 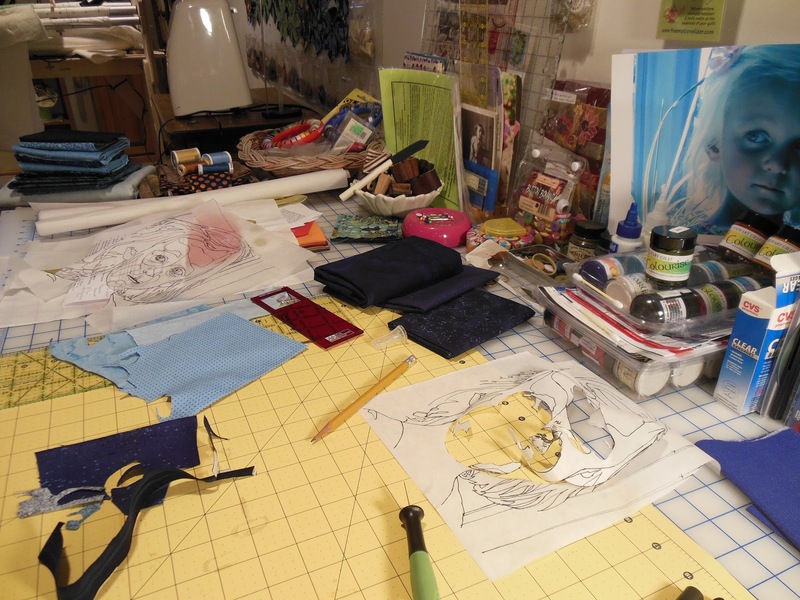 This was a reference tool for placing over the quilt top as fabric pieces were placed on the background and prepared for fusing. Similarly, I made an outline drawing on freezer paper which then became my pattern for cutting. That’s when the real fun began! As each small area was cut from the freezer paper pattern, it was ironed onto fabric already backed with fusible… be careful to use a pressing sheet! To really make the quilt come alive I painted in small details and over some transitional areas. The final step was the quilting and that was it!